This is a second part of our article series on introduction to most common, trending and yet prospective solar technologies. 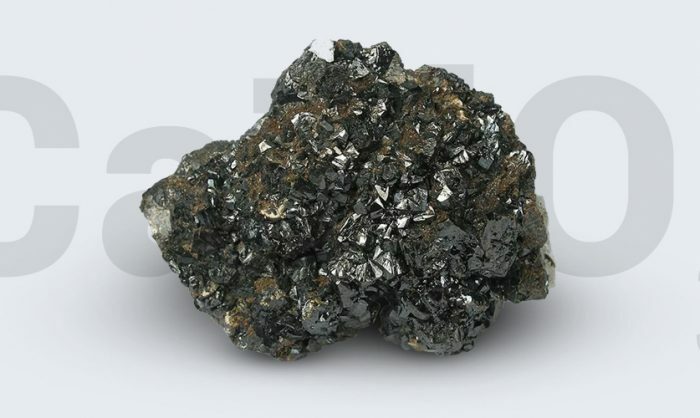 In this article we will cover crystalline silicon solar module technologies, components that are being used together with solar modules and several other omportant questions that solar technology covers. What solar module is made of? Solar module can be made of a single solar cell, a string of cells or multiple strings of cells connected together and then laminated. Lamination is crucial in order to isolate cells from interaction with outside world and its conditions, like humidity, mechanical impact, surrounding gas environment, high UV exposure. As solar cell is a very fragile piece of art, it needs strengthening and isolation from atmosphere to be efficient and long lasting. Solar modules can be framed or frameless, but usually framed solar modules are seen on the market, because framed solar module has required waterproof characteristics. As for frameless solar modules – glass/glass technology modules usually are without frame, while other technology solar modules can be frameless for integration reasons (although solution to make such frameless module has to be presented). The main purpose of a charge controller is to protect a solar accumulator or a solar battery from overcharge or over unload. The controller is necessary to ensure optimal battery work. There are two types of controllers: PWM and MPPT, the former are much more effective, which allows to get the maximum result from solar module, but they are more expensive. In addition, the controller can have extra features like timer, light sensor or led driver. Storage solves various issues with renewable energy. Solar batteries are very useful to balance power when the the grid is down or in off-grid applications – to assure fully autonomous cycle. Most widely used batteries are deep cycle dischargers. The price for such batteries is quite low, compared to other technologies, but they are sensitive to temperature, have relatively low power density and is extremely heavy. Due to these issues, its application spectre are quite narrow. In applications where low weight and wide spectre of work temperature is important , usually Li-ion, LiFePO4, Ni-MH types of batteries are used. Yet additional charge controllers are needed. those who have batteries within themselves. They are popular when there is a risk to lose energy or if one wants to feel relatively independent from energy companies. There are different types of such inverters, however, they are made to store energy from solar modules and supply it to an owner. 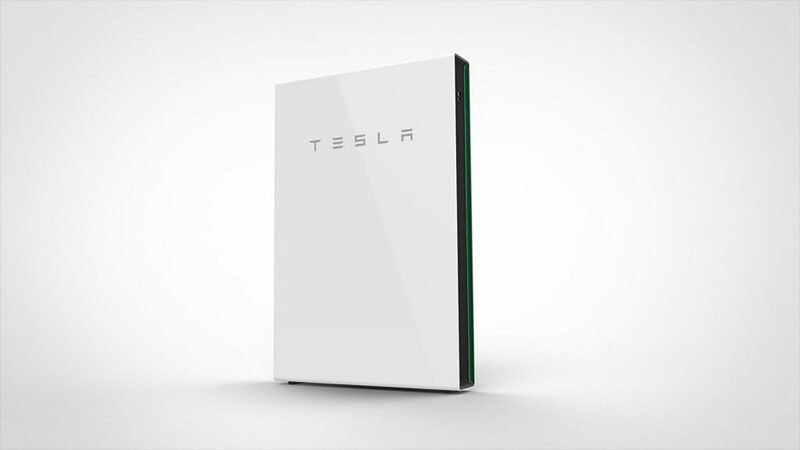 One of the most popular inverter is Tesla PowerWall. AC is easier to transform between voltage levels, which makes high-voltage transmission more feasible. DC, on the other hand, is found in almost all electronics. You should know that the two do not mix very well, and you will need to transform AC to DC if you wish to plug in most electronics into a wall outlet. With this understanding, you should be ready to tackle some more complex circuitry and concepts, even if they contain AC. How module‘s rated power is calculated? Module power is calculated by multiplication of current and voltage. For example, if 1 module has 35V and 8A its power is 35 times 8 and equals 270W. For example, to achieve required voltage for phone charging (4-5 volts) and having in mind that one solar cell has only about 0.5V – you have to connect 8 cells in a row to get 4volts (voltage adds by connecting them in series). If you connect standard 15.6 cm cells you get a big module, so possible solution could be to cut solar cells. As voltage does not depend on cell size, even 3×3 cm solar cell has 0.5 V (having silicon in mind). So, you can connect 8 small pieces and get a small enough module to fit in a backpack and to charge for example a phone. However, smaller cells will have lower current, what defines charging velocity (how fast you can charge your device). 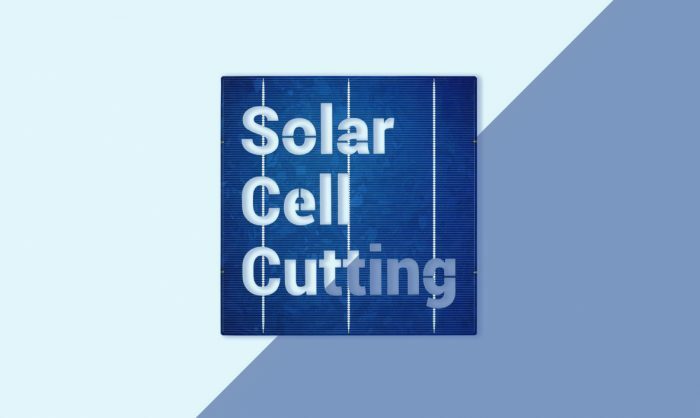 Why solar cell cutting is important? Solar cell cutting is done in order to achieve desired geometry and electric properties. As mentioned above, module’s electric output is determined by the laws of physics. 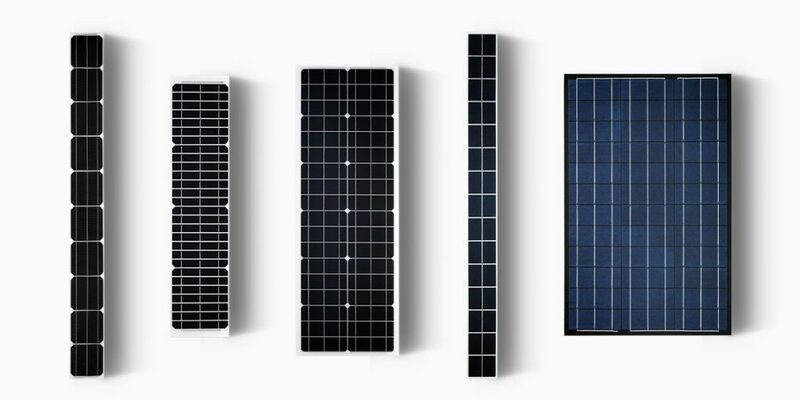 There is a huge variety of solar products, although desired flexibility and customized solutions wouldn’t be possible without cell cutting: back contact, monocrystalline or polycrystalline cells, differently colored cells with 2, 3, 4 or 5 bus bars, can be cut in almost any shape and size. Difference between solar panels and solar collectors? 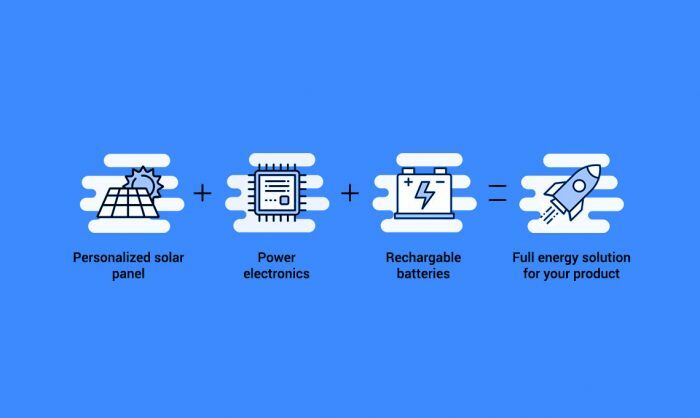 These technologies differentiate as how they utilize solar power – solar modules turn sun energy into electricity while solar collectors – into thermal energy. Both applications have various modifications according to what they are used for. 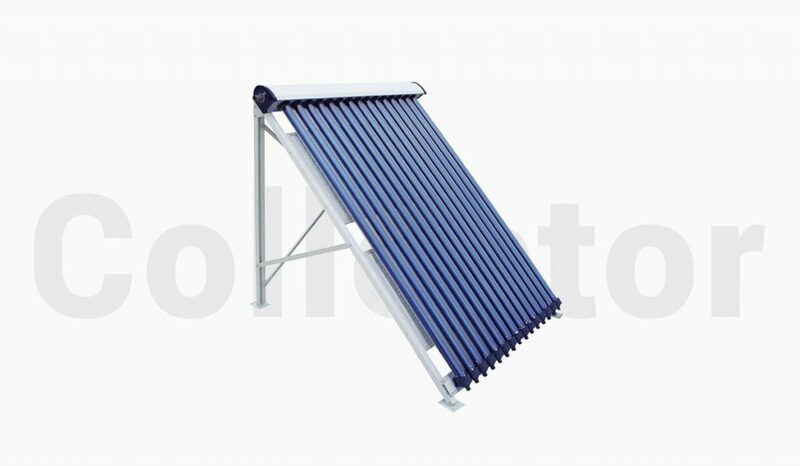 Solar collectors have bigger energy conversion efficiency, that’s why, when we use solar energy to heat water we use collectors instead of panels. As solar business becomes more and more competitive, B2C companies are looking for their market fingerprint. 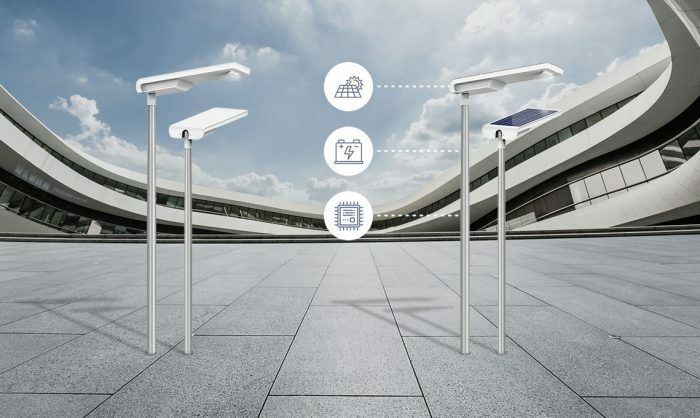 Today there are a lot of interesting examples of how solar technologies can harmoniously be implemented into surroundings and maintain high efficiency. Those solutions are glass/glass, glass/backsheet, flexible and less known – PCB/Frontsheet. The first technology (Glass/glass) – when solar cells are integrated between two glasses – is the most popular for Building Integrated Photovoltaics or BIPV. Glass/glass conception allows to utilize bi-facial solar cell technology, thus increasing the maximum power gain from the same surface area. This technology also is chosen when modules are required to be frameless, durable and long life-span, compared to other technologies. Glass/backsheet is the most common technology in solar industry, and is widely spread all around the world. The reason is simple – it enables to achieve the best price and quality results, thus it is the top pick for solar power plants – massive areas covered with solar panels. A glass for frontsheet is used to protect a solar cell from environmental harms, thus, is relatively durable and solid. Unlike glass/backsheet modules, flexible solar panel solution is where everything is about flexibility and mobility. These solar products are thin, lightweight, waterproof and comes in custom shapes, colors, and power options. It is the number one for RV and marine solar solution. Metsolar provides ultra thin flexible solar modules from 1.5mm which are also extremely lightweight – only 2 kg/m2. The last one – PCB/Frontsheet – is used when extreme measures are needed. Such technology makes solar product shock resistant, durable in harsh climate and to perform even in marine environment, thus popular among seeking seamless solar product integration into an end product. For backsheet – PCB (or Printed Circuit Board) is used, as it is convenient material for electronic part to be implemented. 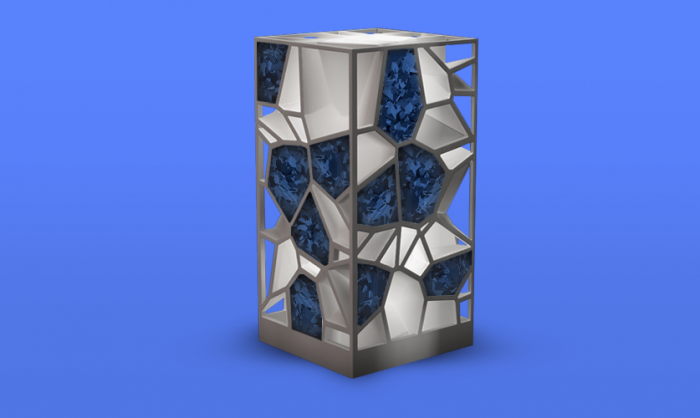 For frontsheet – various materials can be used, such as rspecial resin, PET or other material, depending on what kind of characteristics solar module should have. Photovoltaics business has been growing rapidly past several years. Statistics illustrates this perfectly – from 2016 it has spiked 30-32% and is expected to continuously grow. Moreover, countries all around the world are putting more attention towards sustainable energy and its applications thus it will continue to grow. According to World Energy Outlook 2017, the solar market will almost double, being the leader among other renewable energy sources by 2040.